Sophomore guard Brooke McCarty hit five three-pointers en route to a 17-point performance that helped keep the No. 4 Longhorns unbeaten with a 75-54 victory over Iowa State (photo courtesy of texassports.com). AUSTIN, Texas — The No. 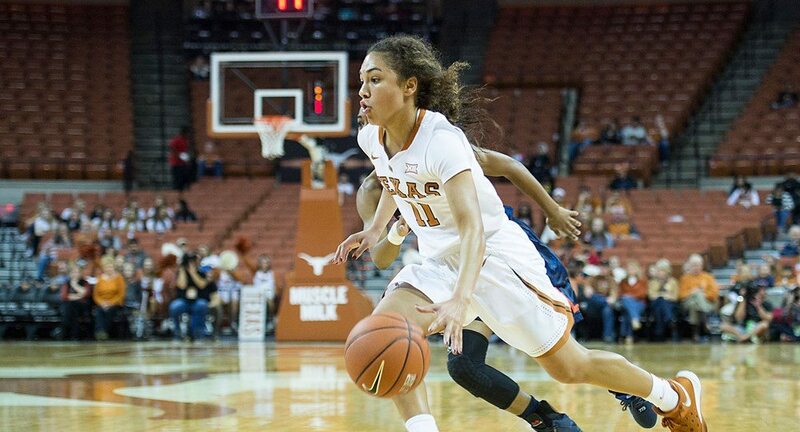 4 University of Texas women's basketball team put away Iowa State, 75-54, Wednesday night in Austin and improved to 14-0 overall, giving the Longhorns their best start since 1985-6. UT also improved to 3-0 in Big 12 play, defeating the Cyclones for the first time since February 9, 2014.